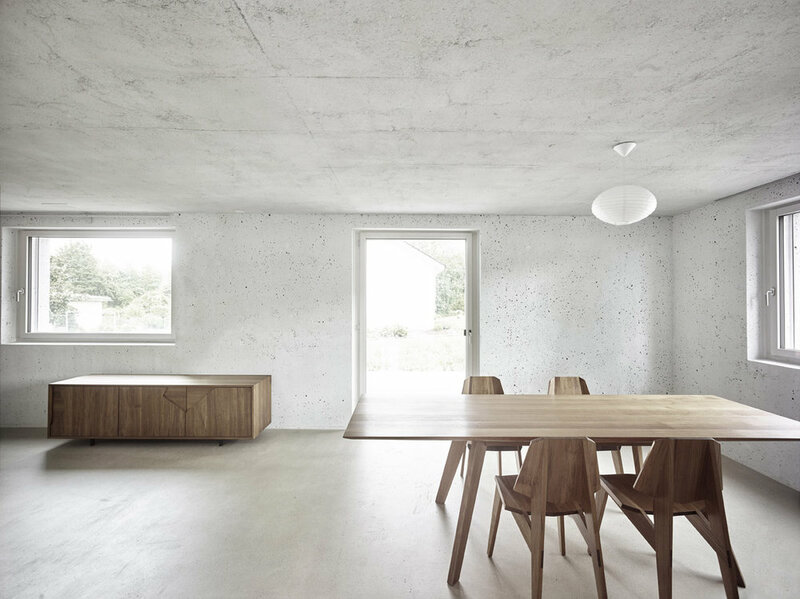 The Meister House is located on a former cooperative workers' estate, replacing a building from 1948, in Rümlang, Switzerland. The architect studio HDPF played an optical trick as this three-storey house hides its ground floor from almost every side, made exception for the main entrance with the real facade. While the design is characterized by a selection of only a few materials, the formal severity communicated by the bare concrete walls and ceiling is warmed by the wooden furniture indoor. 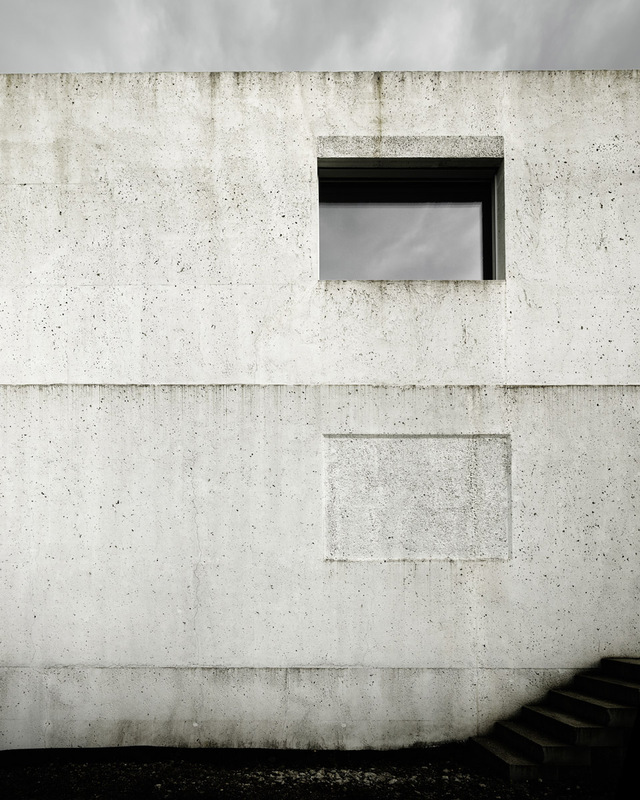 A precast garage was also built to match the cubic, raw concrete design of the house.